Hmm... What a thought provoking quote! Wright is not a Universalist (or an inclusivist, as I like to put it) but in reflecting on what he says in this quote, you can't help but raise questions about the concept of divine, eternal, post-mortem retribution. If this is truly God's commitment, and I'm sure that any robust examination of the biblical narrative would lead one to just that conclusion, then would not the act of condemnation be an act of throwing the baby out with the bath water? You can't exactly condemn a building if your whole mission is to restore it. Sure, you'd have to tear out a few walls but ultimately, you couldn't be satisfied if it were completely and utterly burnt to the ground... or worse yet, allowed to remain in a run down and miserable state for all eternity. But to justify the matter could we not say that the building itself is the human race and creation as a whole and that some of those walls to be torn down are individuals who are beyond repair? This is, from my observation, how most exclusivist evangelical thinkers operate. And they're not without a slew of biblical passages that can be used to support such an idea (think of biblical pruning metaphors). But simultaneously, we are taught that God loves individuals... God's counted the hairs on our heads. God's passion is for all individuals, not just people. 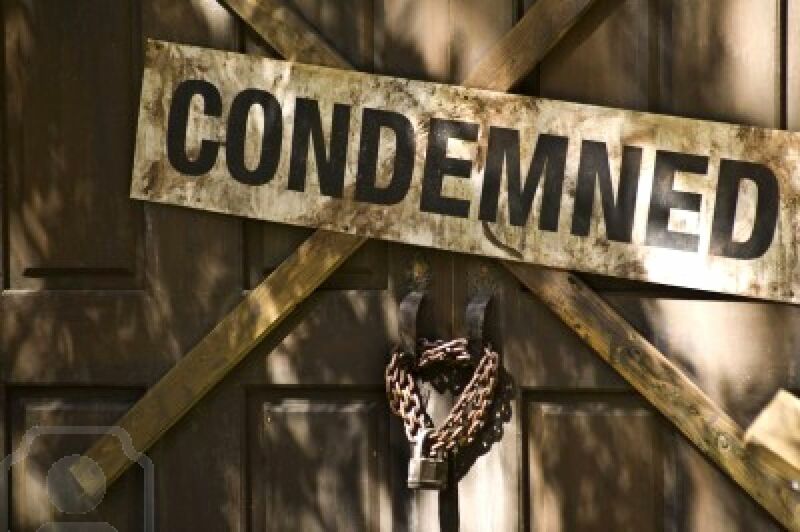 We sing this... "Jesus, your love has no bounds" and "You thought of me above all..." If in God's ethic the individual, even the "least of these," has immeasurable value to God, then how could God be satisfied with the condemnation of one of these? Are not each one of us the objects of God's love and salvific endeavors? Are not individuals the building God wants to restore? If not, then what was all that "least of these" talk? Does not God love everyone? What sort of love would be satisfied with the eternal suffering of it's object? Something's got to change it would seem... We've either got to stop going around saying that God loves everybody and clarify that God actually only loves a particular people group, namely the ones who follow Jesus, or we've got to stop using Hell (a conscious and eternal state of retributive suffering) as a threat to draw people to Christ. Could we not be just as convincing by simply pointing out and embodying the ridiculous love and justice of our God? Is not the beauty of Christ more captivating than the fear of Hell? Is not a faith of love more genuine than a faith of fear? I don't think that N.T. Wright intentionally meant to raise these particular questions and I don't wish to argue that Hell is not a biblical concept. Perhaps it is. For now I'm just asking questions. But I will say this, Hell is not and never has been the heart of the gospel. Hey Wes, I've been reading a lot of your posts on this subject in the last few days. I really appreciate your compassionate and searching approach to the issue. I grew up learning about Hell and how I didn't want to go there, but I've become increasingly frustrated with the way fear of Hell is used (especially in Fundamentalist circles) as a means to draw people to Christ. I completely agree with you. Hell isn't the heart of the Gospel. Jesus didn't go around saying "Repent, or burn forever in Hell!" He said "Repent, for the Kingdom of Heaven is here!" Worldview of difference between those two. Thanks for challenging me to think harder about this stuff. Really love your blog. Thanks for reading. I'm glad the blog has been helpful. You're right to point out the difference between the way Jesus understood repentance and the way we often talk about it ("turn or burn"). This is actually a linguistic distinction. The Greek concept of repentance does put more emphasis on turning away, as in turning away from sin and Hell. But it's more likely that Jesus was thinking in Hebrew. The root for "repent" in Hebrew is "Shuv" which means "return," thus placing emphasis on what we are turning toward rather than what we are turning from. We are saved for freedom, for abundant life, for community. What we are being saved from is secondary. The world is lost and dying and needs Jesus Christ. Just because the Scriptures do not teach eternal punishment, doesn't mean that there isn't a sense of urgency to spread the Good News. Why do many Christians need a literal & eternal Hell in order to spread the Gospel?